If you are visiting to Ahmadabad and not visiting to Kankaria lake you are missing really great.It is a circular lake constructed in 1451 by Sultan Qutubub-Din. Kankaria Lake is one of the most favorite picnic spots of the people of Ahmedabad.The place has everything to pass the time right from boating, toy train, park, water play and many more.The toy train is also very popular amongst the tourist, which lets you to travel the whole Kankaria lake circle in the slow-moving train.Its really more colourful after evening with all its excellent lighting. 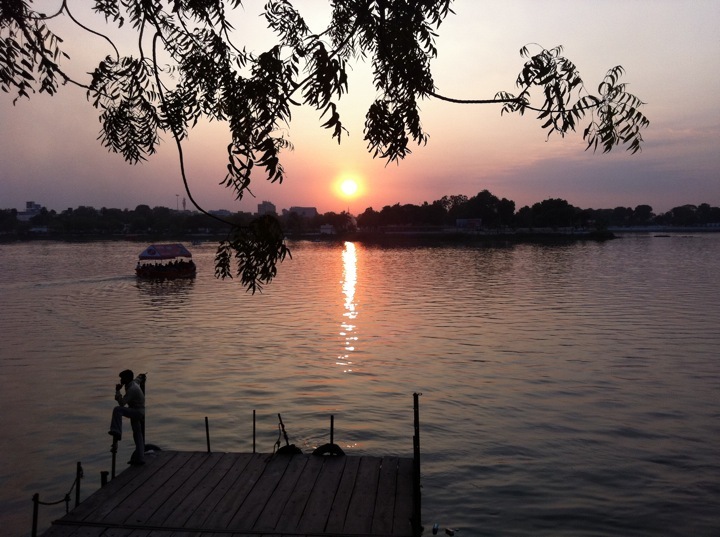 Kankaria Lake provides a beautiful view of the sunset. There is also a zoo and children’s park located nearby the lake.